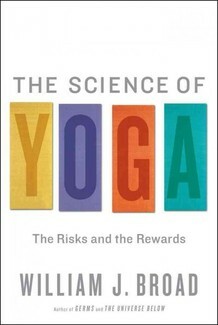 There was a recent story in the New York Times about the risks of yoga, but this interview of the author William J. Board seems to clear up some of the sensationalism that arose around the Times article. Will Board is a science research writer and life time yoga practitioner who has done his homework on this subject of modern yoga. Also this Fresh Air interviews allows the science researcher to enumerate some of the many benefits derived from the modern practice of yoga. It is worth the listen. A brand new Book Club Group is starting at the Yoga Path, to be held on Tuesday Nights 7:30 starting January 24 through February 7 You do not have to be a current student of the Path or practicing yoga. You just need to read a book. 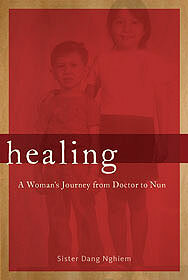 The book we be studying is Healing: A Woman’s Journey from Doctor to Nun by Sister Dang Nghiem, a Vietnamese Buddhist nun. “This extraordinary story takes the reader from Saigon, to the California coast, to a monastery in the southwest France. Huong Huynh was born to a Vietnamese mother and a U.S. soldier in the midst of war. She dedicated her life to healing and transforming the suffering of other people, first as a medical doctor and then as a nun. Ordained by Zen Master Thich Chat Hanh, who gave her the name —Dang Nghiem—(adornment with nondiscrimination), she finally experienced her own healing. With humor, insight, and an irrepressible sense of joy, Sister Dang Nghiem’s story offers clarity and guidance for anyone who has dealt with suffering and loss. We will share for three nights to learn about the transformative teaching of this story. Cost is $30 which includes the book. To register email info@omahayogapath.net or call 402-905-2295. Space is limited so reserve your place. Share this flyer with a friend. Enclosed is the first monthly Yoga Path news. The bottom left button will allow you to expand to a readable size. Let us know what you think. Thanks again for the opportunity to teach at your beautiful center. It is such a peaceful space & l love seeing you all! I have this suspicion that when you talk to people about practicing mindfulness, they unconsciously think “I have better things to do then be mindful. 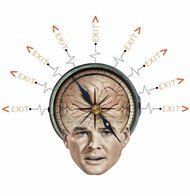 What kind of idiot goes around dwelling in the present moment, mindfully walking, drinking, eating when there are a million things to do? My mind is meant for greater tasks than that. Why do one thing when the order of day calls for multi-tasking, complex scheduling, list making, project managing, moneymaking activities?” Bottom line: being mindful is just not worthwhile, why waste the time? I’ve better things to do.